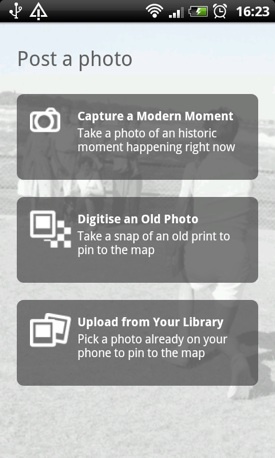 Android App of the Week If you’ve ever wondered what your environment looked like in the past, or just like looking at old photographs of places you know, then Historypin is well worth a download. Searching for pictures couldn't be more easy. 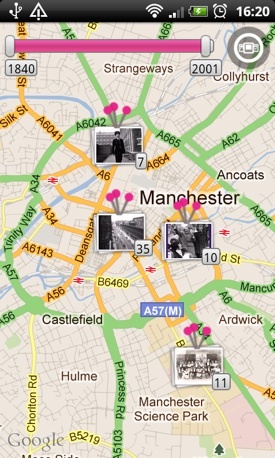 The app shows them pinned to Google Maps so you just pan around to any places of interest. 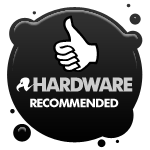 Tap on the pic icon by a pin and the image - or selection of images; you can pin as many as you want to a single location - open up. A slider lets you change the time period from which photographs are shown to anywhere between 1840 - a year later than the first glass negative was produced - and the present day. 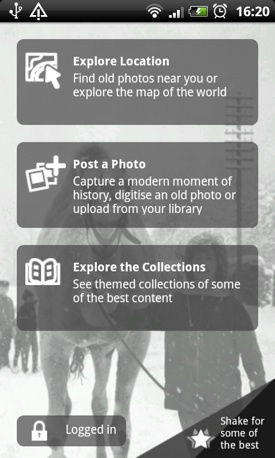 Join the Historypin community with your Google account and you can upload and geotag historical snaps for everyone to enjoy. You don’t have add any details to your uploads but clearly it’s to everyone’s benefit if you at least add the who and why to the when and where. If you find yourself in the place a picture was taken from you can use your phone’s camera to view a semi-transparent image over the modern vista. 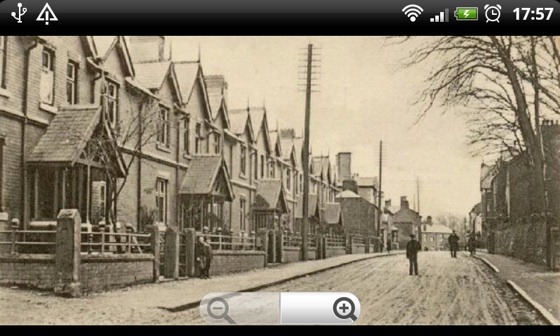 Historical augmented reality if you will. 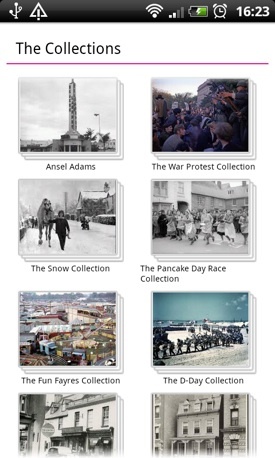 Pictures can also be grouped into collections though this only seems to be possible using the Historypin website at the moment. The majority of the collections currently on show have been created by the site’s operators which brings me onto the app's one small failing: the amount of images it contains. 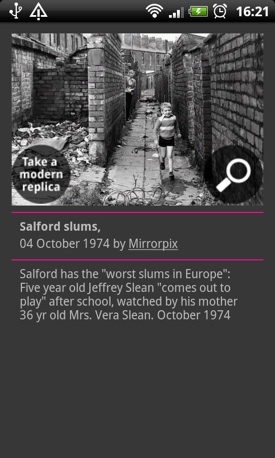 It’s clearly early days but the site only boasts 50,000 pictures and those are spread around the globe. 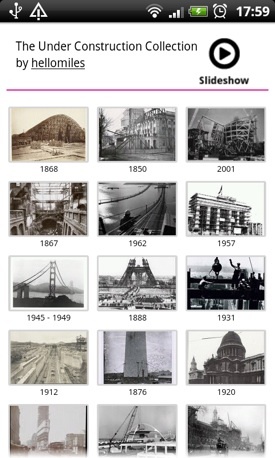 Search and contribute to a growing photo database of world history.